Barska binoculars are versatile and appeal to outdoor enthusiasts, but yet meet the demands of serious birders. 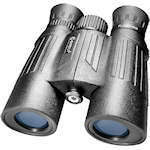 Barska binoculars feature solid construction roof prism binoculars with BAK-4 prisms, fully coated optics and superior performance they are 100% waterproof and fogproof and come in many designs. All Level ED Binoculars are equipped with extra-low dispersion (ED) and BaK-4 prisms, fully weatherproof a shock-absorbent, and can be mounted on a tripod. Open Bridge models have 6' close focus. 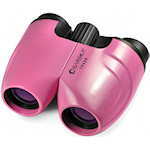 Barska Air View Binoculars are designed to be light for their size. They come in 10x25, 10x34, and 10x42 configurations. They have BaK-4 prisms, fully multi-coated lenses, and rubber armoring on an aluminum alloy chassis. Battalion binoculars are rugged porro prism designs models that are 100% waterproof and fog-proof, all with large 30-mm and 50-mm objective lenses. 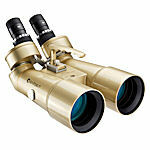 These binoculars feature fully multi-coated optics, BAK-4 prisms and plenty of magnification. Blackhawk binoculars are a diverse series offering a wide variety of models from compact to full-sized and even plus-sized models with 56- and 63-mm objective lenses. All are durable, rubber-armored optics, some available in camouflage. Whatever your need, there's a Blackhawk binocular for you. Barska Colorado Binoculars encompass a variety of budget-minded models from compact to full size in both roof and porro prism designs. 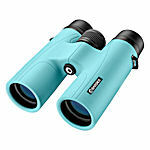 The Cosmos line features high-magnification binoculars, boasting an outstanding performance designed for astronomical viewing and long-distance terrestrial observation under low-light conditions. 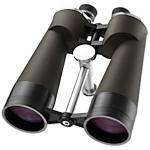 Crossover binoculars are porro-prism designs. 100% waterproof and fog-proof, the featured models have black rubber or camouflage armor in Mossy Oak Blaze, Pink Binocular and pink Mossy Oak Winter. 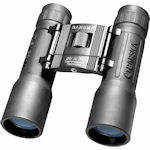 Barska Crush binoculars are low cost 10x42 roof prism binoculars available in a variety of colors. They feature BaK-4 prisms, fully multi-coated lenses, and a 6.56' close focus. 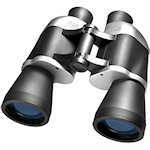 Deep Sea marine binoculars are designed for the boating crowd. Heavy-duty rubber armor and O-ring seals help protect against the elements. Deep Sea binoculars have BaK-4 prisms and tethered lens caps. 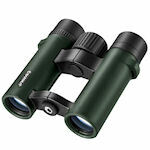 Barska Embark Binoculars are available in 10x26 and 10x42 sizes. They have BaK-4 prisms and multi-coated lenses. Both sizes are light for their class, waterproof and nitrogen purged. 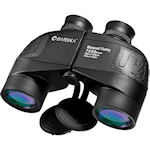 Barska Encounter Jumbo Binoculars are made for celestial or terrestrial viewing. 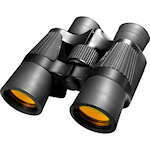 Designed for use on tripods, these jumbo binoculars have extra wide objective lenses for maximum light-gathering. BARSKA’s new Escape series is a complete family of porro prism binoculars designed for all types of outdoor activities. 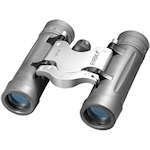 Available in a choice of fixed magnification or zoom, this binocular series has models for nature or astronomical observation. 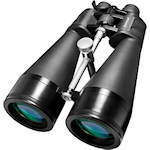 Floatmaster binoculars eliminate worry about loss in boating accidents. 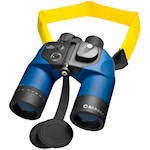 These light, waterproof binoculars float, and perform brilliantly in or out of the water. They are made with BK7 prisms and fully-coated optics. Focus Free binoculars don't require any focusing. They feature a wide field of view and fully coated optics, allowing you to see all the action crisp and clear. They are available in compact and full-sized models. 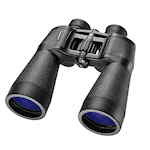 All Gladiator astronomical binoculars feature zoom magnification. Capture a panoramic view at low power, target your object, then zoom in to capture the finer details. All come with a tripod adaptor. Barska Gladiator Zoom Binoculars offer quality coated optics for sharp, crisp images along with the flexibility of zoom capability. 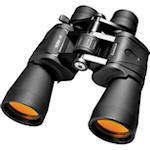 Gladiator Zoom Binoculars are perfect for outdoor or sporting activities. Barska Level binoculars are low cost BK-7 porro prism binoculars with fully multi-coated lenses, lightweight chassis, and wide fields of view. 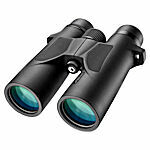 Level HD Binoculars come in 8x32, 8x42, and 10x42 models that have HD glass for very high resolution views. 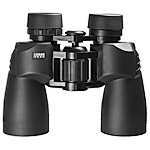 They are an excellent combination of high optical quality and durability that are a blast to use in any weather. 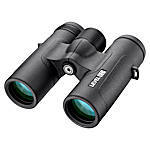 Barska Lucid View Binoculars offer the perfect blend of high optical quality, compact size and low cost. Ideal for outdoor or sporting activities - use them and then put them in your pocket! Barska Blueline Opera Glasses feature BK-7 optics and stylish design. Select models include an intrinsic red reading light, a handle or a gold trim necklace. All models come with an elegant leatherette pouch. 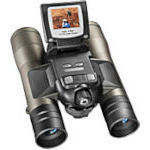 Compact, digital camera binoculars with 8x magnification. 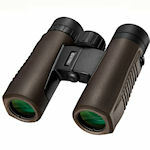 Trend Compact Binoculars are contemporary lightweight optics, revamped with an updated modern look. 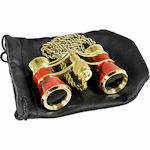 Sleek and stylish, ergonomic with non-slip rubber armoring, Trend binoculars appeal to all ages. 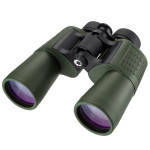 X-Trail Binoculars offer a wide selection of wide-angled, and high-powered large porro prism models. Whether you are in the forest or an arena, have them trail along with you. 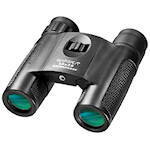 Barska X-Treme View binoculars feature BaK4 prisms, multi-coated optics and extra wide angle capability. 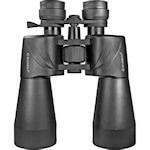 X-Treme View binoculars are stylish, functional and a great bargain at under $100!